Hand 160: Erkut Yilmaz moves all in preflop on the button, and Jim Collopy (pictured) calls all in on the big blind. The two players then table their cards. 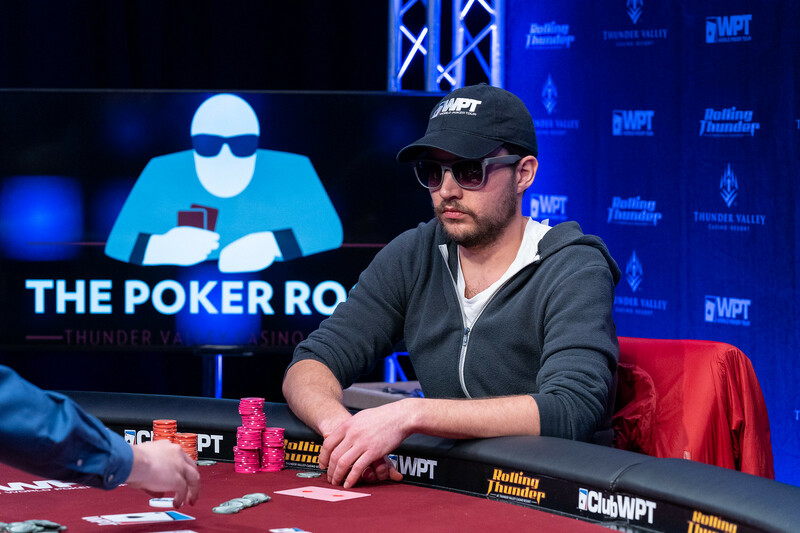 Collopy doubles up to survive with 4.6 million, and Yilmaz is at 6.6 million after the hand. Hand 161: Jim Collopy calls preflop on the button, and Erkut Yilmaz checks on the big blind before the flop falls . Collopy bets 150,000, and Yilmaz calls before both players check the on the turn. The river delivers the , Yilmaz bets 575,000, and Collopy folds. Hand 162: Erkut Yilmaz raises to 350,000 preflop, Jim Collopy reraises to 950,000, and Yilmaz folds. Hand 163: Jim Collopy limps preflop on the button, and Erkut Yilmaz checks the big blind before the flop is dealt . Collopy bets 150,000, and Yilmaz check-folds.